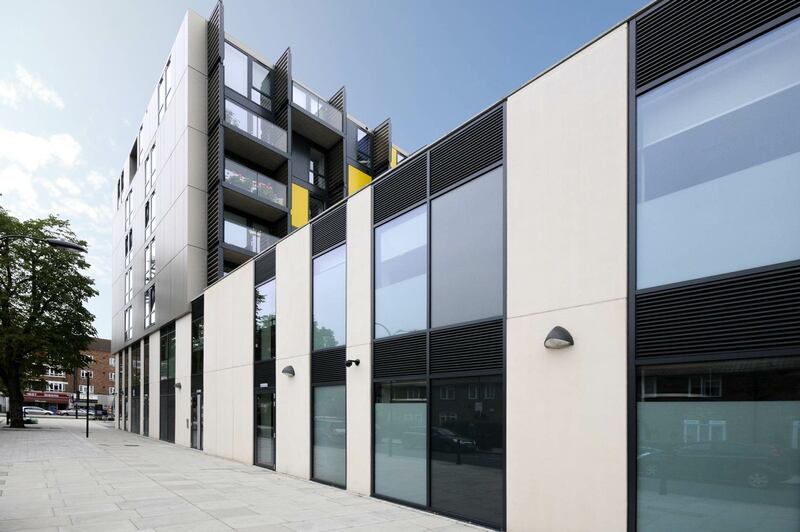 When being presented with programme, logistical and budgetary challenges, Galliford Try Partnerships turned to GB Architectural Cladding Products Ltd for help on their prestigious White City project in London. 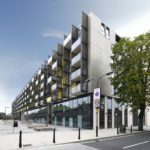 Building a mixed-use development in White City, London, that is worth £28million brings with it a range of challenges but the construction team driving the project was keen to implement GRC cladding for large expanses of the external wall cladding. 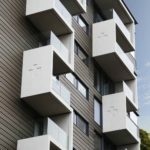 There were a range of reasons for this but uppermost in mind was the fact that GRC is lighter than traditional precast concrete, thus helping to resolve weight load issues pertaining to the building substrate. 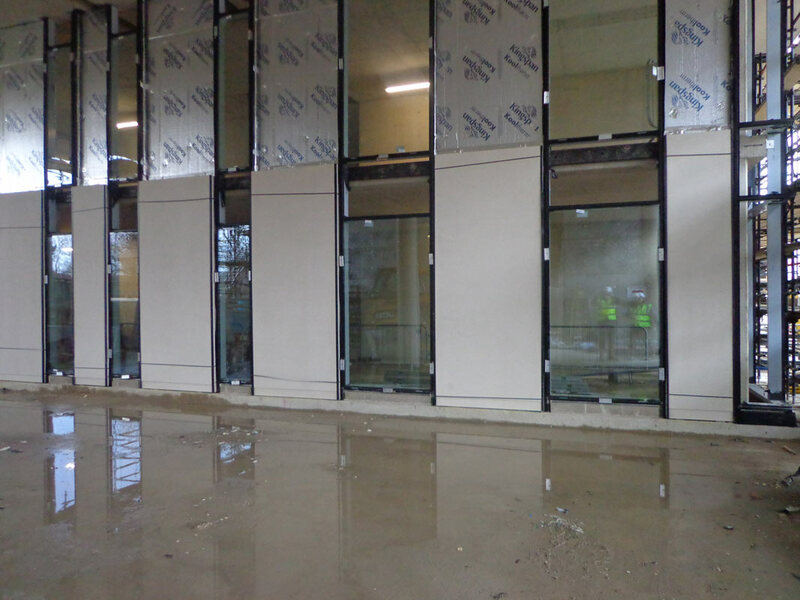 GRC also, and crucially, removed the concrete cladding panels element from the project critical path whilst still facilitating early water tightness, thus facilitating early commencement of other related trades. GRC itself is glass reinforced, lightweight engineered concrete and this effective solution is increasingly being used successfully for a wide range of applications. 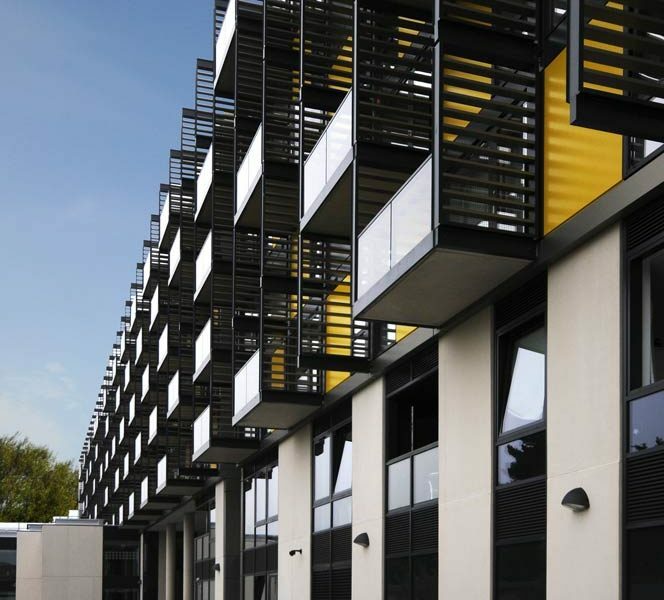 This is precisely why the White City project builder Galliford Try wanted to utilise the experience and know-how of the UK’s leading GRC cladding firm – GB Architectural Cladding Products Ltd. 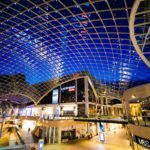 The firm is based in Liversedge, West Yorkshire, and they are regularly approached by designers and builders keen to know if GRC can be used to fulfill a particular requirement. 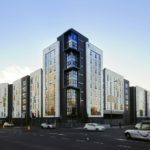 Kevin Heaton, the technical director of GB Architectural, says: “The initial specification called for a traditional pre-cast concrete panel project but in order to save time, and therefore money, the architects and developers were keen to investigate a lightweight solution, which is why we were approached. “Specifically, the panels that we developed for this project look and perform exactly like traditional pre-cast concrete panels but they take substantial loadings off the structure and foundations by reducing the overall weight.” The use of GRC cladding would also reduce on-site crane time resulting in reductions in overall build programme and also added flexibility in trades sequencing. Kevin explains: “Traditional concrete panels are very heavy and have to be put into position by crane which is a laborious and time-consuming process. 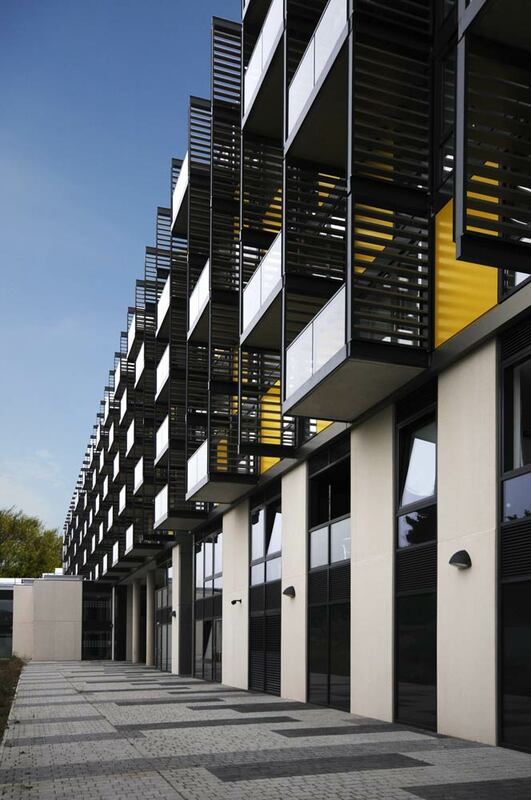 The initial specification called for a traditional pre-cast concrete panel project but in order to save time, and therefore money, the architects and developers were keen to investigate a lightweight solution, which is why GB Architectural were approached. This impressive creation by GB Architectural consisted of supplying 1,200 square metres on a very exacting aesthetic specification all of which had to be visually beautiful for what is a very visible and prestigious project. 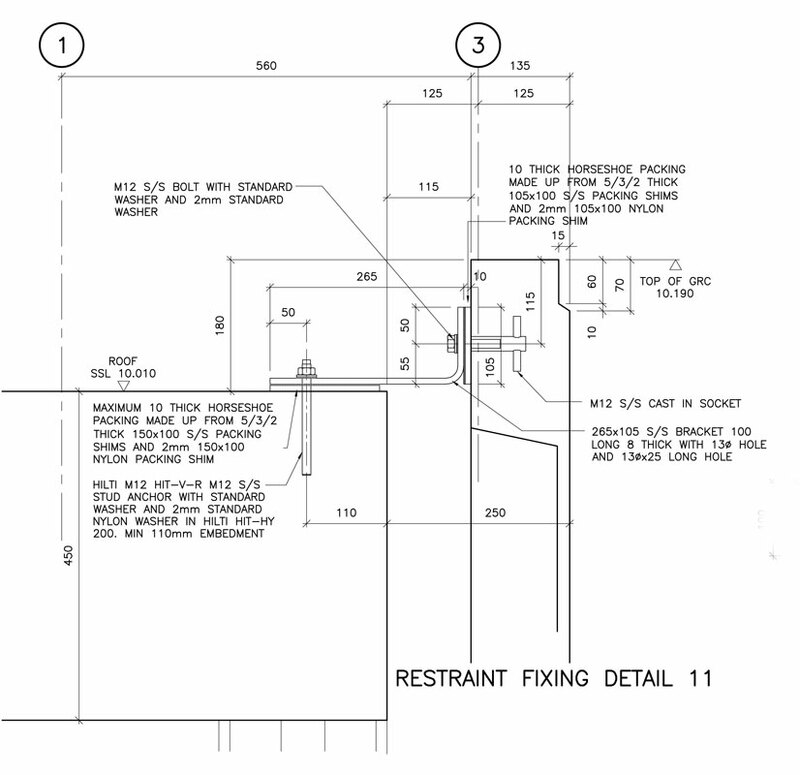 In order to meet the stated demands, the firm had to undertake extensive pre-order design and testing work, with Galliford Try being enthusiastic partners during this process. This is the latest high-profile project involving GB Architectural in the capital which has led to a growing number of satisfied clients who regularly turn to the GRC experts to deliver top quality products on time and to specification. GB Architectural is keen to stress that every project opportunity is usually quite different and every effort is made by their team to meet the demands of a particular project even with tight and demanding time constraints. 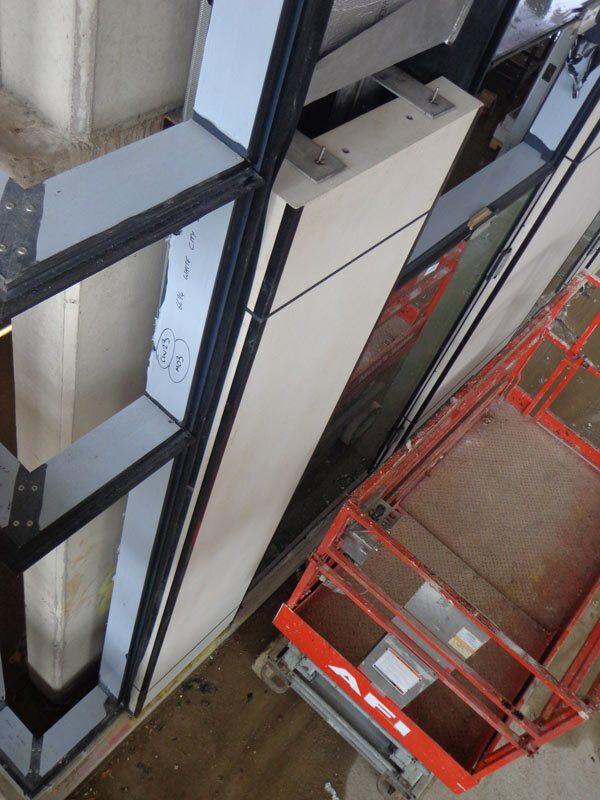 To ensure that the GRC panels are installed to the required timescale, GB Architectural liaises closely with the installers to ensure that the panels are delivered on time and in the correct sequences to aid installation. This means the installers need to be aware of the referencing system used by the firm and how the panels will be packed. GB Architectural are acknowledged as being the UK’s leader in designing and making GRC products and so were a natural choice by those involved with the White City project. David St John, Galliford Try’s senior project manager at White City, said: “GB provided a robust and persuasive case for their product and were pro-active in appeasing architectural concerns over robustness and aesthetic issues. “They introduced non-standard detailing into their production moulds for this scheme to secure the confidence in the product of all concerned. GB from the outset had supreme confidence in the qualities of their product and were easy to deal with. 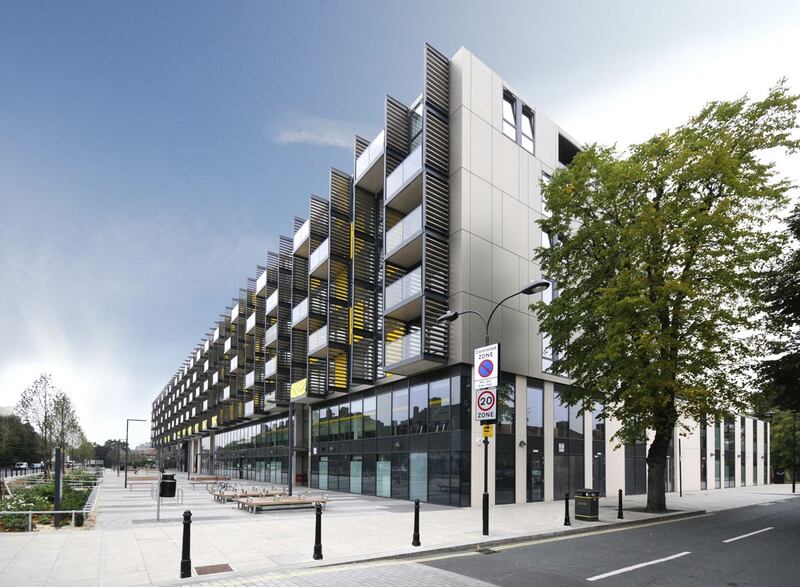 Andrew says: “The White City scheme is a marvellous example of how all of the companies involved in a project can collaborate well to develop an effective solution that really does impress. We are certainly impressed with it. “The result is a building in White City that is clean and crisp which looks really impressive with Portland finish white panels on the outside which make up a very attractive design. These panels will look as good as intended and will perform faultlessly for a very long time to come.” For more information about GRC cladding products and their suitability for building projects, contact Andrew Garside at GB Architectural Cladding on (01924) 404045 for an informal chat or visit their website to learn more about some of the major construction projects they have helped to succeed.